The article provides the motivations and foundations for creating an interdisciplinary program between a Library and Information Science department and a Human-Centered Computing department. The program focuses on data studies and data science concepts, issues, and skill sets. In the paper, we analyze trends in Library and Information Science curricula, the emergence of data-related Library and Information Science curricula, and interdisciplinary data-related curricula. Then, we describe the development of the undergraduate data curriculum and provide the institutional context; discuss collaboration and resource optimization; provide justifications and workforce alignment; and detail the minor, major, and graduate opportunities. 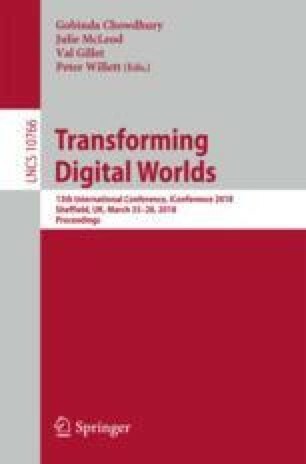 Finally, we argue that the proposed program holds the potential to model interdisciplinary, holistic data-centered curriculum development by complimenting Library and Information Science traditions (e.g., information organization, access, and ethics) with scholarly work in data science, specifically data visualization and analytics. There is a significant opportunity for Library and Information Science to add value to data science and analytics curricula, and vice versa.